How to Recover Photos and Videos from iPhone/iPad/iPod Touch? - Q & A of Office for iOS - WPS Office Forum - Powered by Discuz! How to Recover Photos and Videos from iPhone/iPad/iPod Touch? This is very common problem for all of us but some one was don't know "how to get back all iso data", So today i was share an idea to recovery deleted iPhone data. 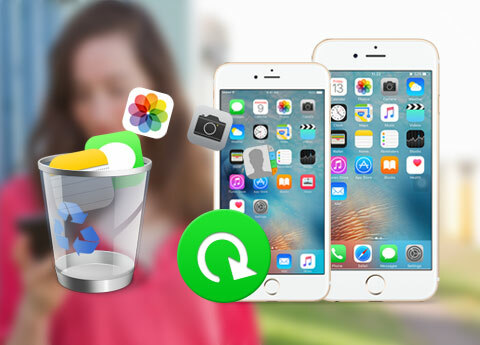 We need to use iPhone Data Recovery Software which can recover precious data on their iOS devices, including Camera Roll, Photo Library, Photo Stream, Messages, Contacts, Voice Memos, Message Attachments and Call History. Recover lost data for any iOS device due to deletion, device crashed, smashed or broken, device loss, jailbreak, iOS upgrade or factory settings restore. With this application, you can find your deleted information that have been deleted and existed ones. The recovered files including photos, sms, contacts, notes, call history, facebook data, WhatsApp data, videos and more. It provides you three recovery modes to recover lost data: "Recover from iOS Devices", "Recover from iTunes backup Files" and "Recover from iCloud back Files". 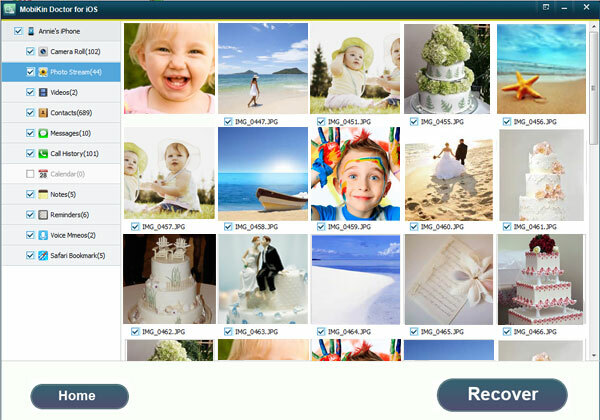 Jihosoft iTunes Backup Extractor will help users recover deleted or lost photos from iPad backup. If you did not backup your iphone with iTunes or iCloud , the recovery software for iPhone users may help you retrieve the deleted data, you can get them back in few steps. Have a try of MobiKin iOS Recovery tool, it can help you recover lost files and data. Edited by Elise at 2017-03-30 15:39 \n\n Edited by Elise at 2017-03-30 15:39 You can first check "Recently Deleted" Album in Photos app for your deleted photos and videos. If they are not there, iReparo iPhone Data Recovery can help you recover deleted photos and videos from iPhone in in a much efficient way without any backup. Preview and selective recovery are allowed. Edited by odigeshen at 2017-06-16 11:07 \n\nAbout how to Recover Photos and Videos from iPhone/iPad/iPod Touch, we can ask help from iOS Data Recovery tool. It offers us two recovery modes to recover deleted or lost data from iOS devices. One is [recover from iOS device], the other is [recover from iTunes backup files]. Some recovery apps like iOS Data Recovery can help iOS users to retrieve all types of iOS data easily. If you have a backup file in iTunes/iCloud, try to recover them in this method first. But if not, try to recover it with FORecovery, a toolkit which can help you recover lost photos and videos from iPhone/iPad/iPod Touch. Besides, this toolkit doesn't have any effect on your data on iPhone. You have to Login to download or view attachment(s). No Account? As we speaking of what should to do when in the position of wanting to recover photos from iPhone,MobiKin iPhone Data Recovery (Windows/Mac) is a pretty good and only choice for you to recover the lost or deleted photos from all kinds of iPhone devices. Data recovery is not a rare thing we do nowadays as there are a large quantity of users who get iOS data lost and deleted frequently. However, we can as well get more chances to recover deleted photos from iphone (joyoshare.com/recover-ios-data/recover-deleted-photos-from-iphone.html), during which videos, contacts, notes, messages and more files are supported too. 2019-04-22 21:33 GMT+8 , !processed_in! 0.076298 !seconds!, 9 !queries! .